Different perspectives – London in art. 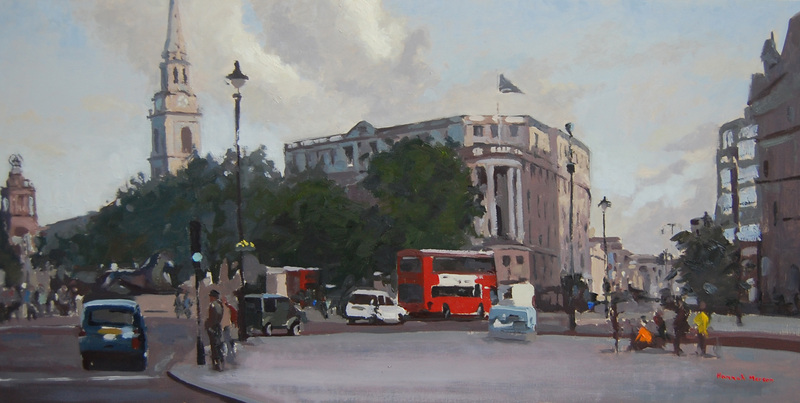 We acquired a beautiful new original by Nottingham based artist Hannah Merson today which is a view of Trafalgar Square in London. Hannah has perfectly captured the bustle of city life here I think & I love the flashes of colour which really bring the scene to life. The arrival of this beautiful piece got me thinking about how different artist’s can paint very similar scenes & yet capture a totally different feel. London is unsurprisingly a very popular subject & we have a number of different pieces featuring the city. 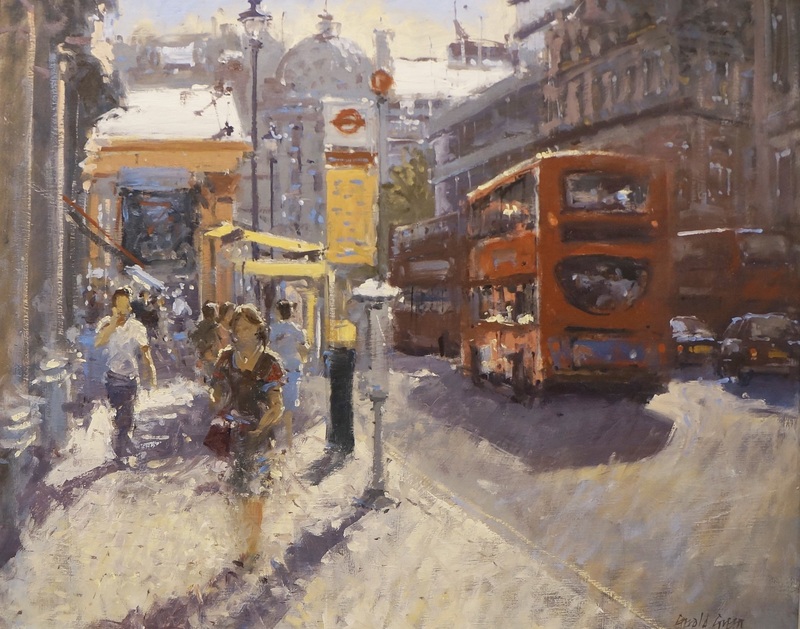 For example, one of our other local artist’s Gerald Green has painted several scenes of London in both oil & watercolour which create a very different feel from Hannah. Although painted in the same medium as Hannah’s piece, this original is very different. Gerald paints in a much looser style with more muted colours which for me creates a more tranquil feel. 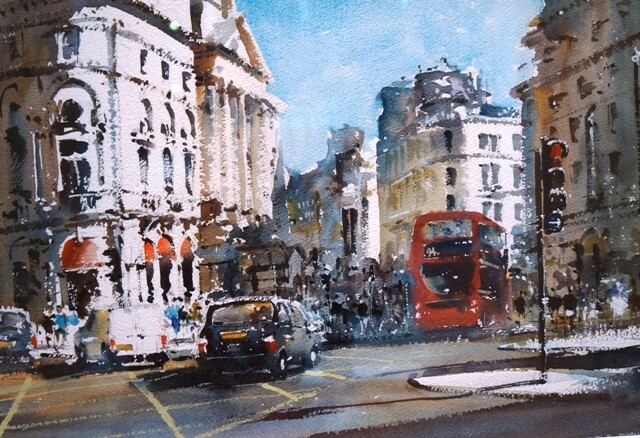 However, he has also painted London in watercolours, as can be seen below which creates a more lively mood. As to which of these three beautiful paintings is my favourite …… well I can’t quite decide! What do you think? This entry was posted in Uncategorized and tagged art, art gallery, art market, artist, London, original art, original oil, watercolour. Bookmark the permalink.